Are low gums affecting your smile? Smiles can be affected by more than just teeth. You may not have any missing or discolored teeth, but if your gums rest too low on your teeth you may still feel that your smile is not quite right. Having low gums is not due to poor dental health or bad habits and the good news is that at a simple procedure can transform your smile. With a new smile comes self-esteem and confidence and you will be presenting yourself the way you always dreamed! What is a “Gum Lift”? A gum lift, more formally known as gingivectomy, is a minimally-invasive cosmetic dental procedure which reshapes or removes excess gum tissue using laser technology. A minor amount of gum tissue is removed to reshape the gum to give it a more attractive appearance. A laser is used to gently remove and seal excess gums. Because there are no cuts or incisions, a gum lift can be performed without bleeding. Because it is a cosmetic procedure, gum surgery is typically done on the front teeth only. A gum lift can be performed for a number of reasons. For example, for those who haven’t had gums recede after a permanent tooth has erupted, gum reshaping removes the excess tissue to create an improved appearance. In addition, those who suffered from periodontal disease may require gum reshaping to remove damaged tissue while increasing the appearance of the gum line. Gum lifts can also be performed if gums are unattractively covering up tooth surface. No matter the reason, redefining the gums offers increased confidence with a more attractive smile. In the past the procedure was invasive, but now it’s a simple procedure that produces little to no discomfort. At one time a scalpel was used in a gum lift, but improved technology means that now a soft tissue laser is used most often. The laser offers precise results and decreases the chance of bleeding and infection. Laser gum lifting has a short recovery time and minimal discomfort during or after the procedure. The procedure normally takes a couple of hours at most. Local anaesthesia is used to eliminate the possibility discomfort. Depending on your exact needs, the procedure shouldn’t take more than a couple of hours. Once your procedure is complete, you’ll need to avoid injuring the area as it heals. So, you’ll want to stick to soft foods and keep the gum area clean. You’ll also need to practice proper oral hygiene to keep bacteria to a minimum to reduce the potential for infection. 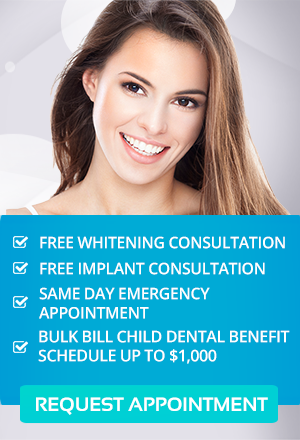 At Simply Smiles Dental, we aim to give you the smile of your dreams. We offer a wide range of procedures that aim to enhance the beauty of your smile while also improving your oral health. If you are not satisfied with your gum line, a gum lift is a good procedure to consider.